Who doesn’t love cake? Such a silly question, right? 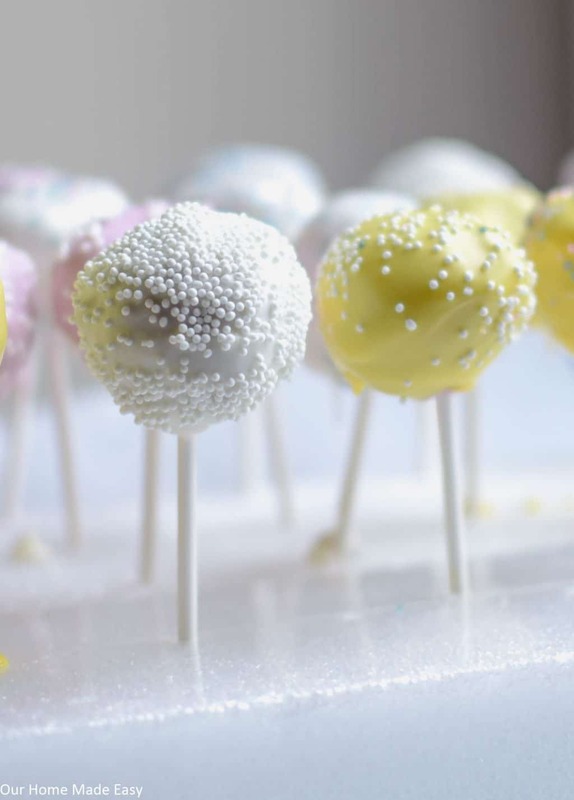 Who doesn’t love those super cute little cake bites on a stick? If you need an easy Easter dessert recipe, these will be your go-to favorites. You can change them up for any holidays by changing out the cake mixes, frosting flavors, and outer shell colors. 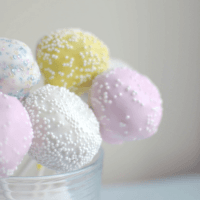 For this recipe, I wanted to make a cake pop for Easter. I went with lots of pinks, yellows, & whites. 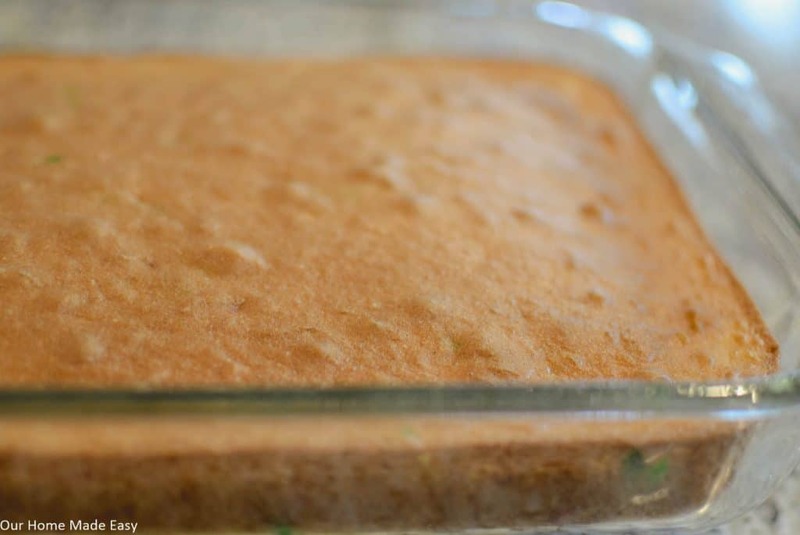 The first thing you will want to do is bake a cake in a 13″ x 9″ pan. Once it’s cooked you let it cool to room temperature. 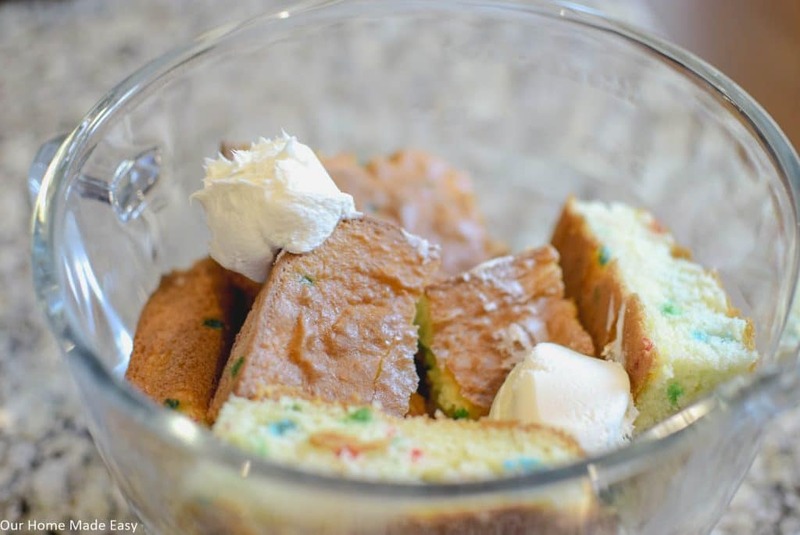 You’ll cut the cake into large sections and place in a large bowl. Then add in the icing. Then you smush it all together! While you could definitely use your hands to combine it all, I found it easier to let a mixer do the work. 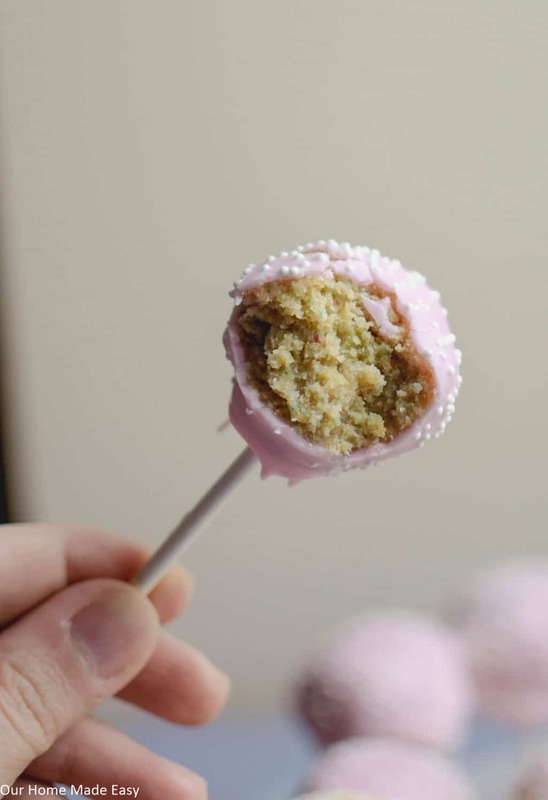 I’ve tasted my way through a few cake pop recipes and it seems like the less frosting there is, the better the cake pop. So perhaps the hardest part of this projects isn’t waiting for the cake to cool, it’s limiting yourself to a small amount of frosting in the cake! 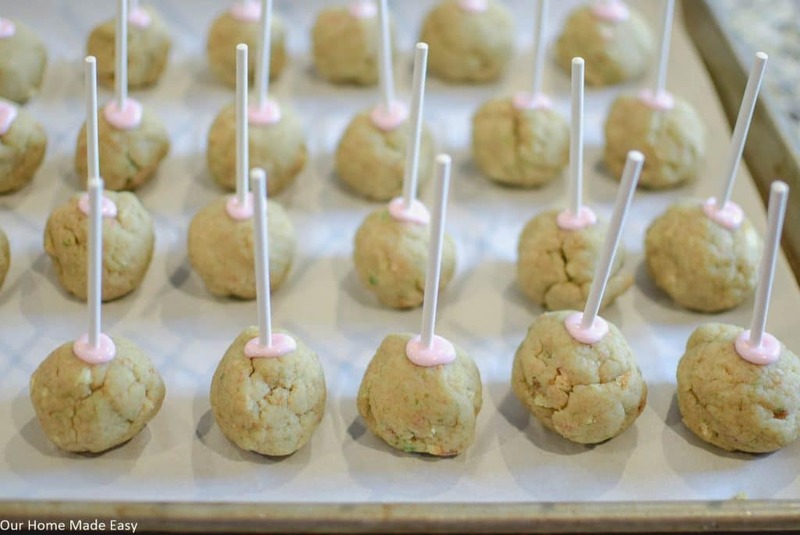 Once they were combined, I use a cookie dough scoop to portion / shape them into cake pops. 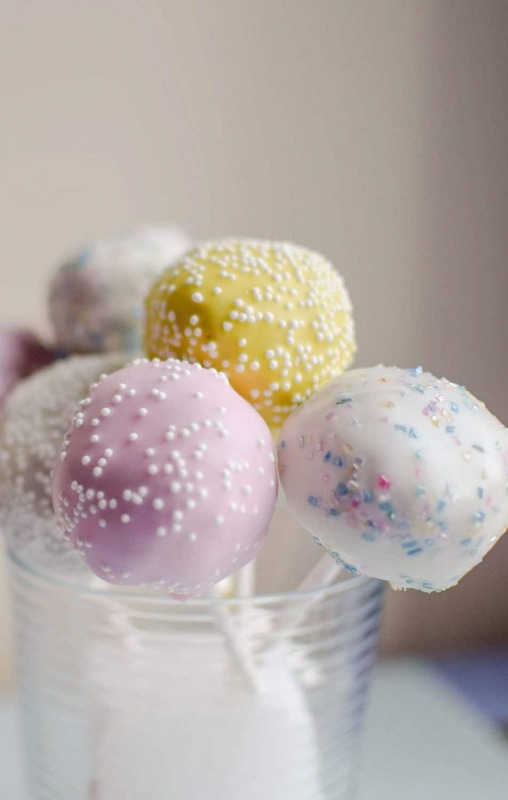 Once they are in cake pop form, you will place a treat stick in the top center of all the cake pops. Helpful hint: After rolling the balls, melt a few candy melts in the microwave. 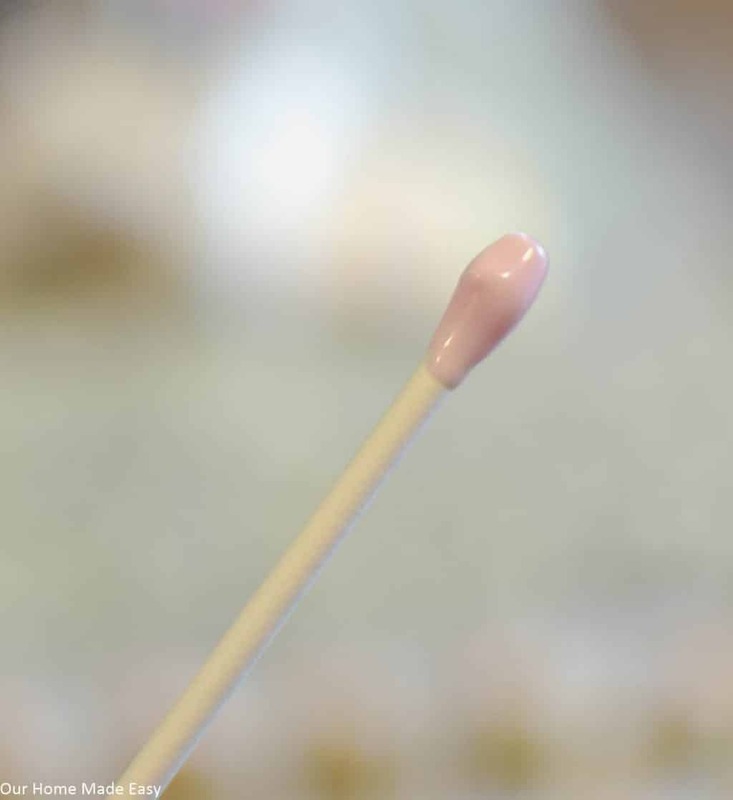 Dip the end of the treat stick in the candy and then into the cake pop. It will help keep them on the stick! These guys are ready for the freezer for a few minutes. After hanging out in the freezer, it’s time to start dipping the cake pops! 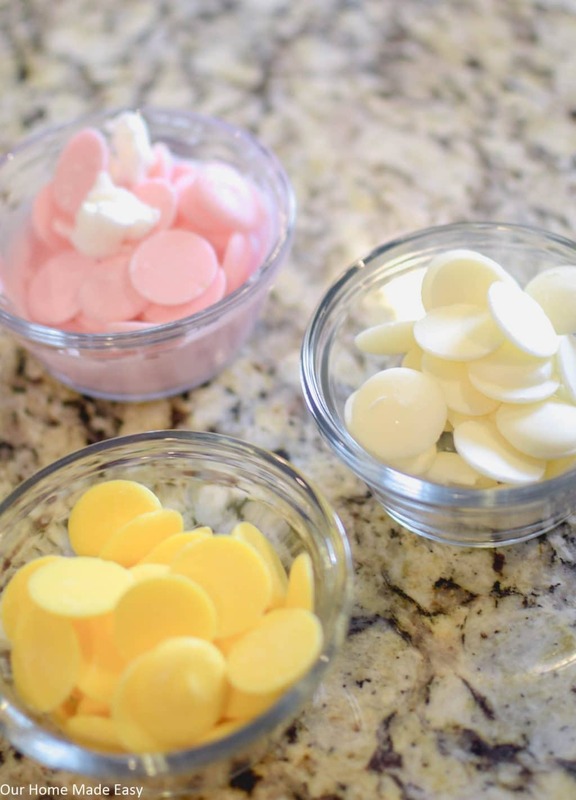 When you heat the candy melts, use small but deep bowls. 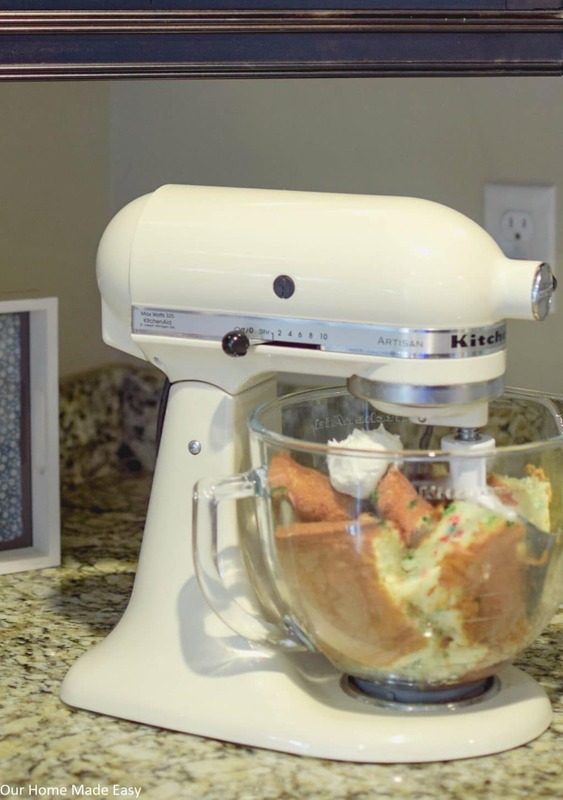 You’ll be able to dunk the cake pops without having to heat up too much candy melts at one time. 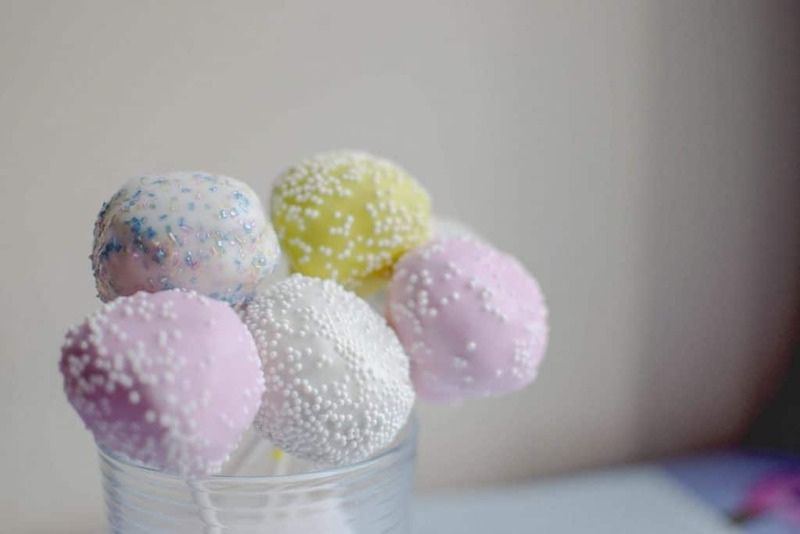 To keep the cakepops upright after dipping, I poked them into a styrofoam block. Aren’t they super cute and perfect for any holiday? 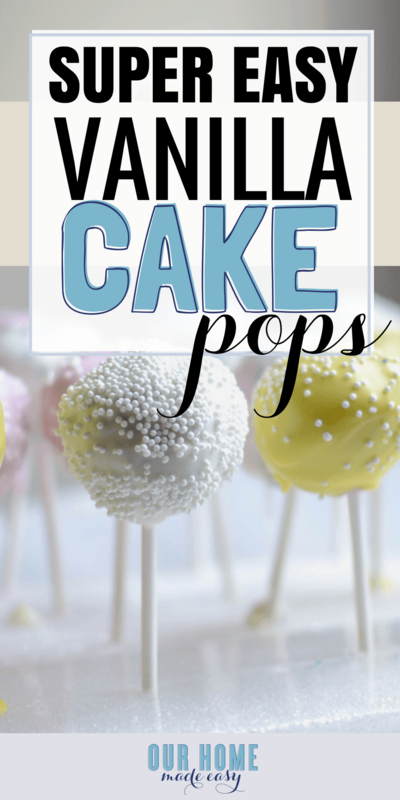 If you haven’t made cake pops before, run to your store and pickup a box of cake mix or candy melts. They are that great!! 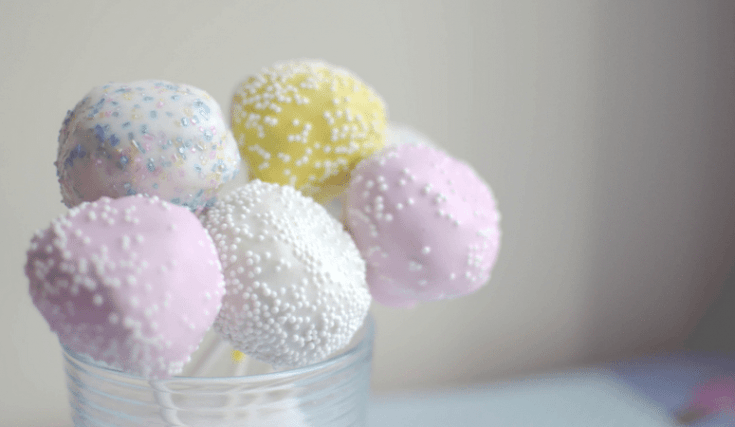 These cake pops are super easy to make. Using a cookie scoop, form 1" balls from the dough mix. Set the balls on a cookie sheet. Working in small batches out of the freezer, dip each cake pop into the candy melt. These will last 2-3 days in a covered container.